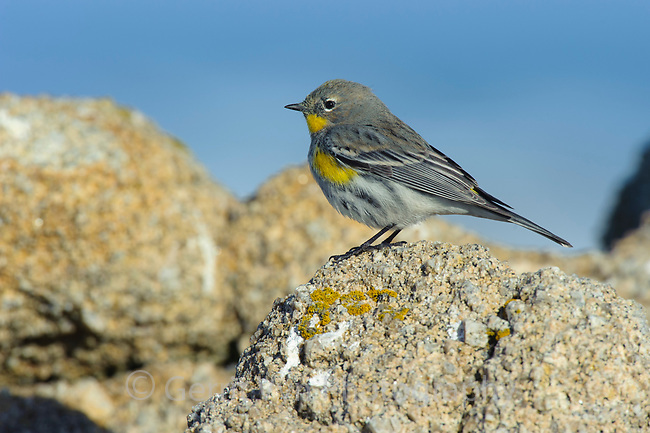 "Audubon's" Yellow-rumped Warbler (Setophaga coronata) in basic plumage foraging on coastal rocks. Monterey COunty, California. December.